This Discount Table Skirt Online is Adjustable! 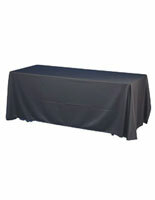 This Tablecloth Drapes Down all Sides of an 8' or 6' Table! Trade show presenters know the importance of standing out from the crowd, and many bring their own table covers in colors that make them stand out from the rest. For these presenters, the problem may occur that they have brought the wrong size table skirt for the table being supplied. This tablecloth eliminates that worry. 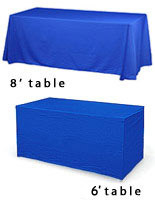 The adjustable tablecloths fit both 8' and 6' tables! 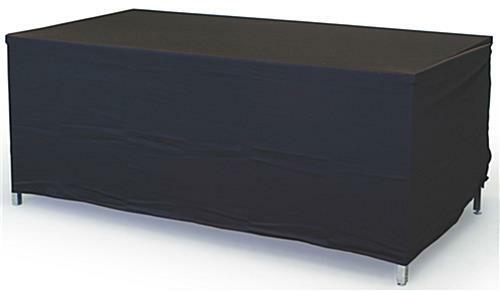 Perfect for trade shows, job fairs, banquets, and elsewhere, this adjustable table skirt is also machine washable and dryable. They resist wrinkles making them the ideal table cover to travel with. 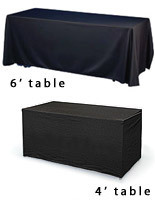 This commercial table skirt for sale includes a certificate of flame resistance supplied by an independent testing laboratory, which is a must-have for many convention centers. Create the professional looking display you've always wanted with this great table skirt! 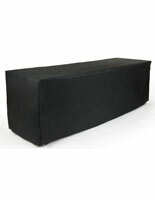 This adjustable table skirt has a very low price. 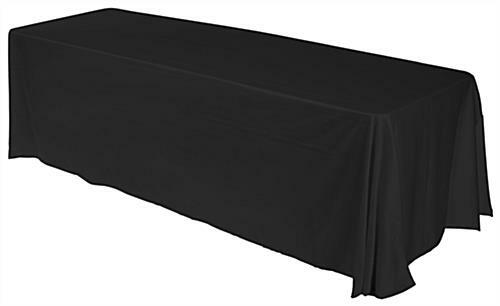 The convertible tablecloth uses special tabs that allow the fabric to be drawn taut for 6' tables while elegantly draping down the sides of 8' tables. 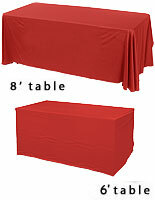 This convertible table skirt, also known as an adjustable tablecloth, is designed to fit 8' x 30" x 30" tables. Use the adjusting tabs to convert the size to fit the smaller 6' tables as well. The pre-attached hook and loop fasteners allow the conversation to take place quickly and easily. Just fold the side panels and fasten them into place with hook and loop material! This table skirt is designed to flow down to the floor and acts as both the table skirt and tablecloth when used on both sized tables. 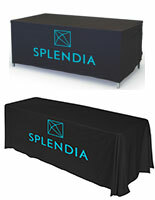 The table throw is perfect for the trade show presenter that attends many shows throughout the year. 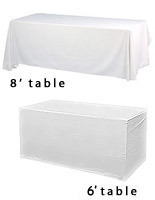 Drapes Over Tables: 8' x 30" x 30"
Converts to Fit Tables: 6' x 30" x 30"